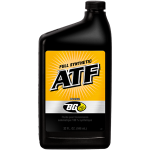 BG Premium Full Synthetic CVT Fluid | BG Products, Inc.
BG Premium Full Synthetic CVT Fluid protects Continuously Variable Transmissions from premature wear and enhances performance. 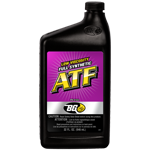 CVTs need lubricants that can withstand friction and heat. 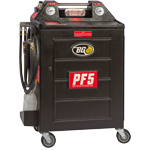 If fluid breaks down, metallic wear and belt slippage are imminent. 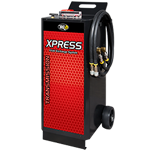 Damaged components can cause catastrophic failure. 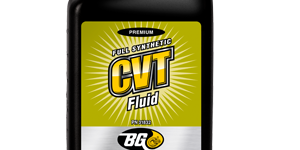 BG Premium Full Synthetic CVT Fluid will fight the effects of fluid breakdown. 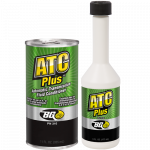 As an integral part of the BG Transmission Service, it provides excellent protection of internal components and offers superior durability. 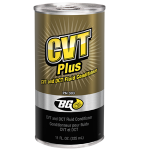 Installed using a BG transmission service machine along with BG CVT Plus CVT and DCT Fluid Conditioner, PN 303, this CVT fluid provides outstanding protection for CVTs. 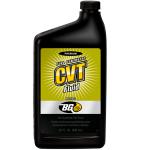 Meets or exceeds most OEM CVT fluid performance criteria. 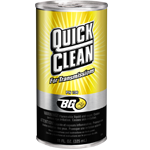 This product may be used in a wide range of CVTs including but not limited to: General Motors, Chrysler/Dodge, Honda, Jeep, Mercedes-Benz, Mercury, Mitsubishi, BMW, Nissan, Saturn, Subaru, Suzuki, ZF, Land Rover, Volvo, Mazda and Acura. 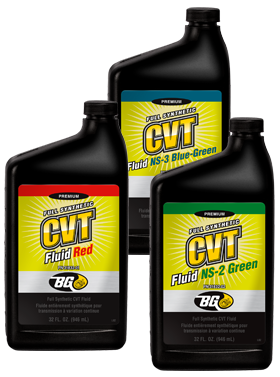 Nissan and Honda heavily utilize CVTs in their late model vehicles. In fact, Nissan vehicles are equipped with CVTs exclusively. 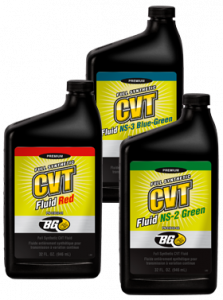 These new CVT fluid colors will allow shops to offer their Nissan and Honda customers the benefits of BG Universal Synthetic CVT Fluid while satisfying the need for brand-specific fluid color. 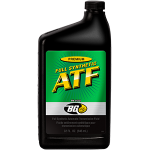 We DO NOT recommend using BG Premium Full Synthetic CVT Fluid in traditional step-shift automatic transmissions, as a replacement for ATF. 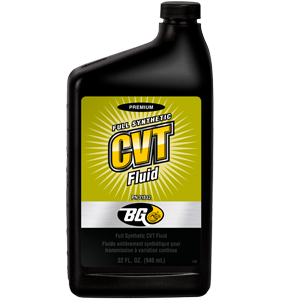 BG Premium Full Synthetic CVT is part of the BG Transmission Service for CVTs. 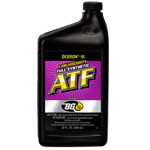 Find a shop near you that offers the BG Transmission Service.